Whether you call them automated trading platforms, algorithmic trading, mechanical trading systems or system trading, these software iterations allow you to set a specific quantum of rules, applied to trade entries and exits. Automated trading systems remove emotions from the equation, preserve trading discipline, and achieve a higher level of consistency. They also monitor cryptocurrency exchanges 24/7. With that in mind, we bring you the review of leonArdo, an automated trading platform developed by Margin Software. We are somewhat perplexed by the phenomenon called Margin Software. Apart from their official website and forum activity, we couldn’t find any official data regarding the corporate body itself. It might be listed under a different trade name, but we failed to locate it in the official listing of German corporate structures. As far as we know, from the scarce information pool we were able to procure, their main product, a blockchain trading interface named “leonArdo,” was created in 2013. The development team consists of three computer science graduates, enamored with “all things Bitcoin.” They boast over 20 years of combined software development experience, two Masters, and a Ph.D. Given the obvious fact that leonArdo is a “bare bones,” underdog project created by a group of passionate grad students out of pure zealotry, we’ll give them the benefit of the doubt. Our reasoning was that pure business and marketing shortcomings don’t immediately spell an inherently subpar product. These cryptocurrency enthusiasts are still just starting out and their 300th customer celebratory tweet from March corroborates that fact. leonArdo was designed to impact different markets and improve the trading experience as a new “visual” trading front end. To do that, it needed to steer clear of the common practice of simply mimicking the market websites, so it brought forth a certain amount of interesting additional trading features. One of the most attractive aspects of the platform is the fact that its creators constantly work on improving it and enriching the overall experience with more reach and scope. So, leonArdo currently supports Bitstamp, BTC-e, Poloniex, BitFinex, Bittrex, and OKCoin, with new market plugins already in the pipeline. The usage of leonArdo is very intuitive and extremely responsive due to its object-oriented C++ background with additional features of Qt. Future releases of the platform promise an API for custom trading strategies implementation, allowing programmers to sell them independently. While we’re on the topic, the license for leonArdo is bound to your personal API keys, so multiple people cannot install the software without effectively sharing the account. Also, if two instances of leonArdo simultaneously connect to the same market, the exchange will most likely reject your API keys. mArgin maker (the awkwardly capitalized “A” is a thing, if you hadn’t noticed) – This add-on quickly adapts to the ever-changing course of the cryptocurrency market, allowing you to set all the desired parameters via quick drag-and-drop in the graph. Ping pong – This strategy will allow you to set rigid numbers as your buy/sell prices, leaving leonArdo to do its work from there. The potential amount earned will be immediately visible in the graph, minus the exchange fees. leonArdo should automatically save your preferred trading strategies, even after an update or a restart. Our biggest grievance with Margin Software comes from their inexperience with business, namely the managerial part of the story. They’re a small company with limited resources and they’re doing their best, we’re sure, but using “Bitcointalk” as your main informational and user support portal is just the wrong way to go about it. It does keep the community tight, but it also means you’ll have to sift through 89+ pages if you want to know more about the company and leonArdo. leonArdo is currently expecting a rollout of its version 3.4.0. Margin Software is currently selling their Bitcoin trading terminal leonArdo for 89$. This brings you a lifetime license for their ever-growing and constantly updated product. If you’re unsure whether leonArdo is the best automated trading platform for your needs, you can try out their free demo version. We must admit that we have a soft spot for free demos, as opposed to limited money-back guarantees. In one of their numerous responses on the forum, they did state they don’t receive any private information and, therefore, cannot share it with third parties. Be that as it may, we’d still like to see a legally binding privacy form on their official website. 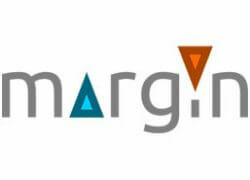 We can state with a sufficient dose of certainty that Margin Software is not a scam, alongside their automated trading platform. That being said, they are ways away from representing a full-fledged software development company. The main product seems rather decent at what it does, but it’s plagued with constant bugs and similar occurrences. The team definitely does their best to keep it all in check, but their limited recourses and manpower show more often than not. That being said, if they continue with this level of sheer commitment, they’re bound to learn from their mistakes and turn their initial vision of leonArdo into reality. The demo version of the platform is free, so you can test it for yourself and see if it wins you over. Nifty little program, but I’d also like to see an overview of profits and loss implemented in the future. Poloniex always bugs out on me! Sheesh they’re linking to their bitcointalk thread on the official site?! These guys need some real customer support outlet asap.